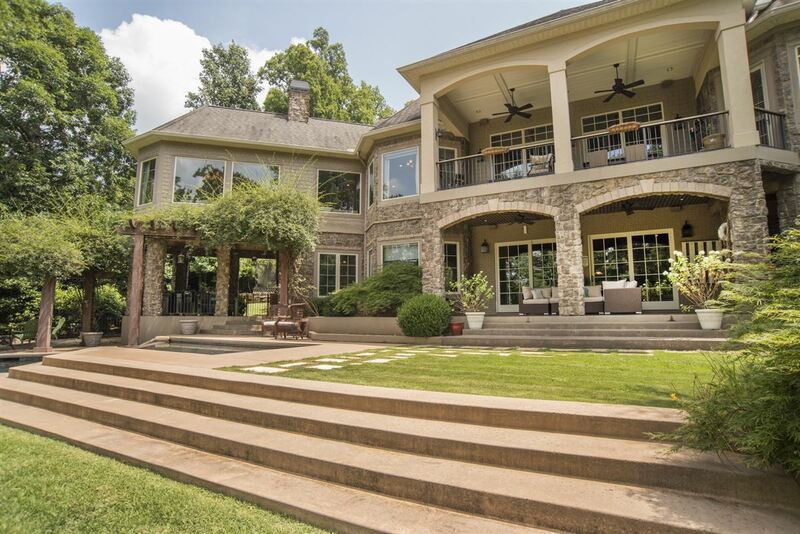 Today’s home is situated on prime waterfront property, on prestigious Horse Head Pt Drive in Seneca, South Carolina. The backyard includes an oversized covered, ironwood dock with boat lift and hydraulic steps, shallow and deep saltwater pools, multiple shaded areas for relaxing, private hot tub and an amazing outdoor kitchen complete with prep space, cabinetry and A/V for TV making it a great place to watch those afternoon games while grilling. The outdoor space is beautifully landscaped and provides ultimate privacy. 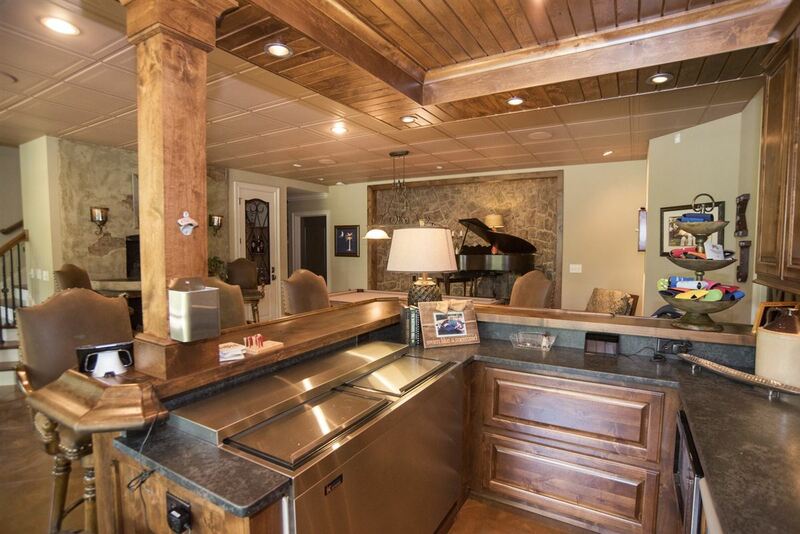 Enjoy a quiet night with your spouse or entertain all your friends/family at the lake. 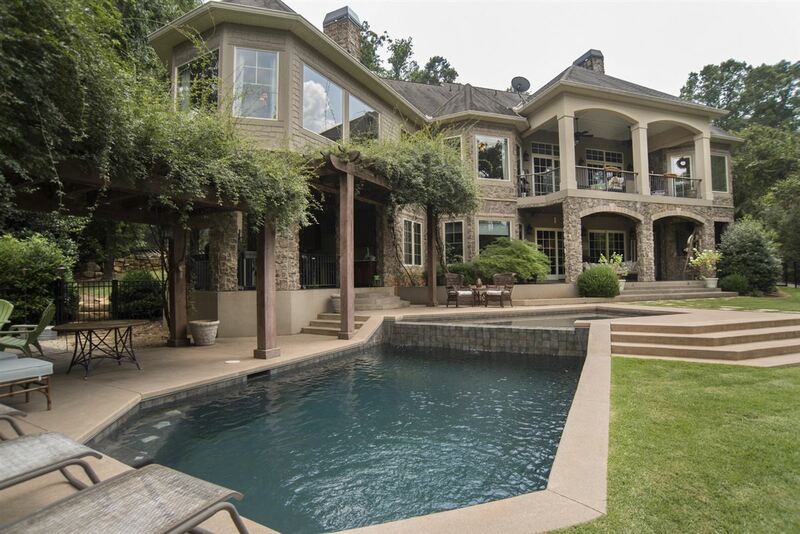 Inside the home, there are five bedrooms spread out over the approximately 6600 square feet. 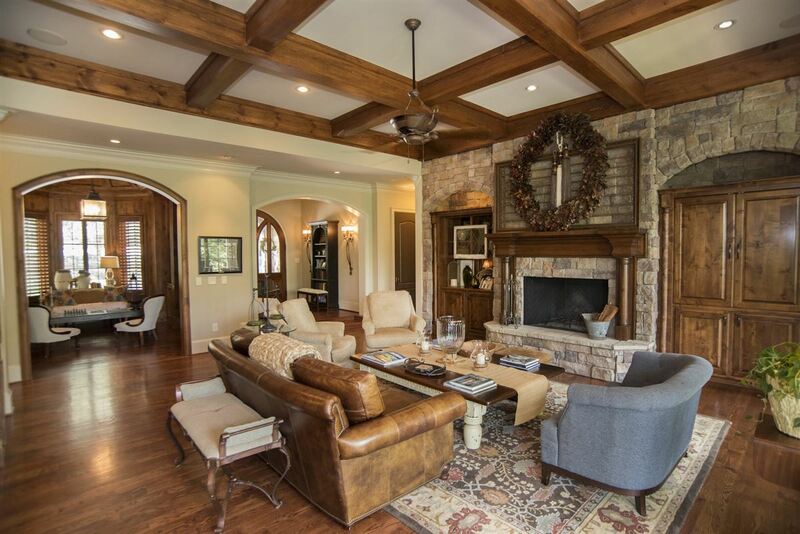 The main level living area features 4″ oak flooring, coffered ceilings, and access to a covered deck, lake views, stone gas starter fireplace and beautiful built-ins. 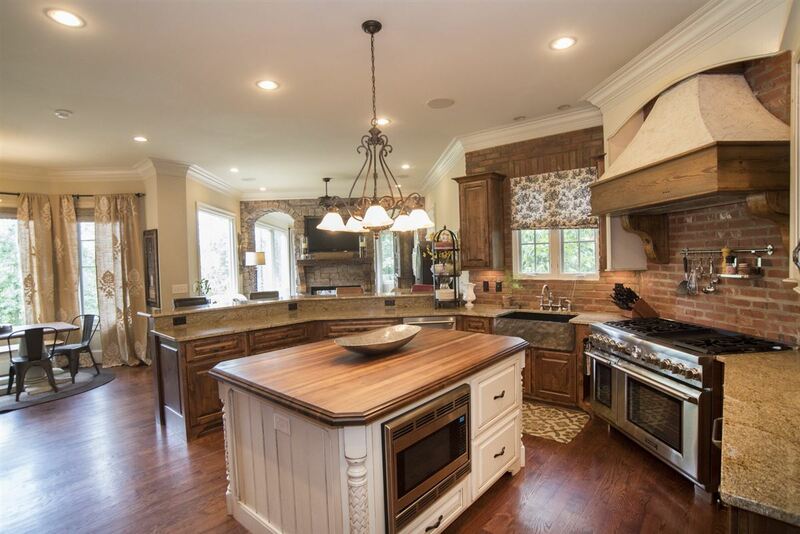 The kitchen is a chef’s dream with ample alder custom cabinetry, large walnut block top for prep, walk-in pantry and Thermador Appliances including a 6 burner natural gas range with double ovens. 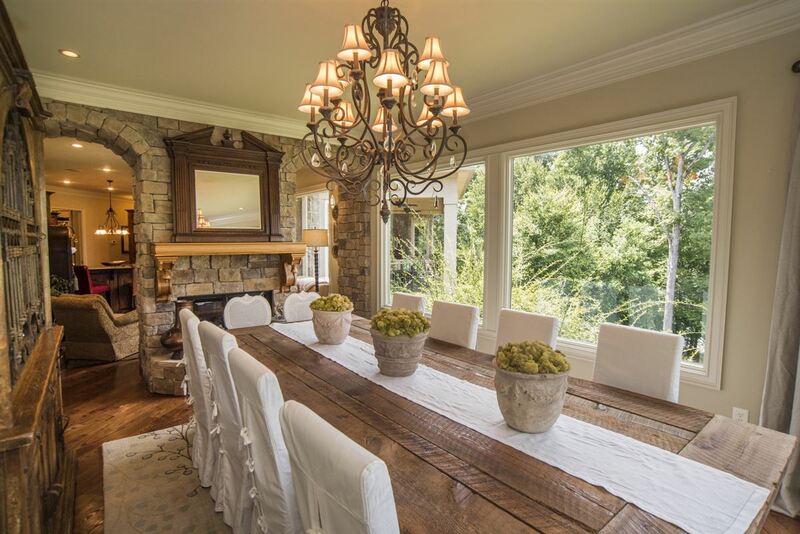 The home features knotty alder custom cabinetry by Alan Boggs throughout the home and three incredible mantles in the keeping room, living room and kitchen were built during the Civil War era and recovered from a local mill in Greenville. 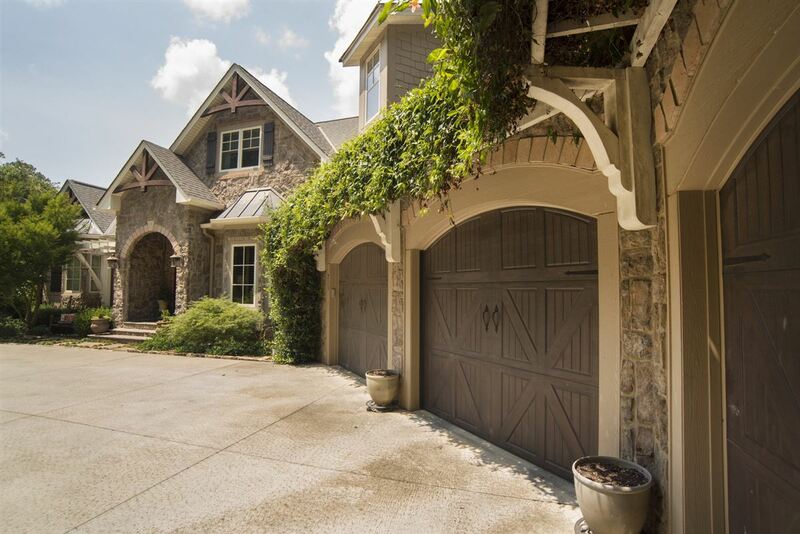 The stone arches and dual sided fireplace softly divide the cozy keeping room and the dining room that overlooks the private backyard and boasts lake views. 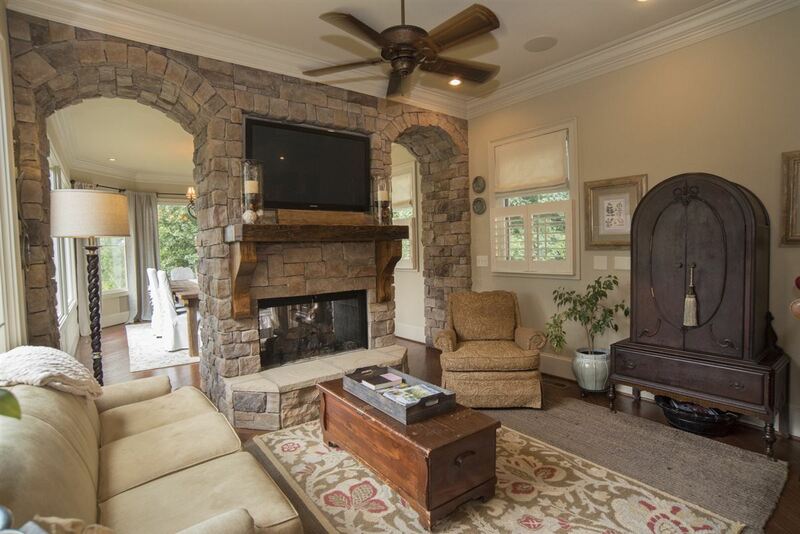 The main floor owner’s suite is a true retreat with its own sitting area, gas fireplace, deck access, his and her walk in closets and luxurious master bath with heated floors, walk-in tile shower, dual vanities and jetted tub. There’s a show-stopping library/office on the main level with grafted knotty alder walls, ceiling and built-ins. Upstairs features three guest bedrooms and two full baths. 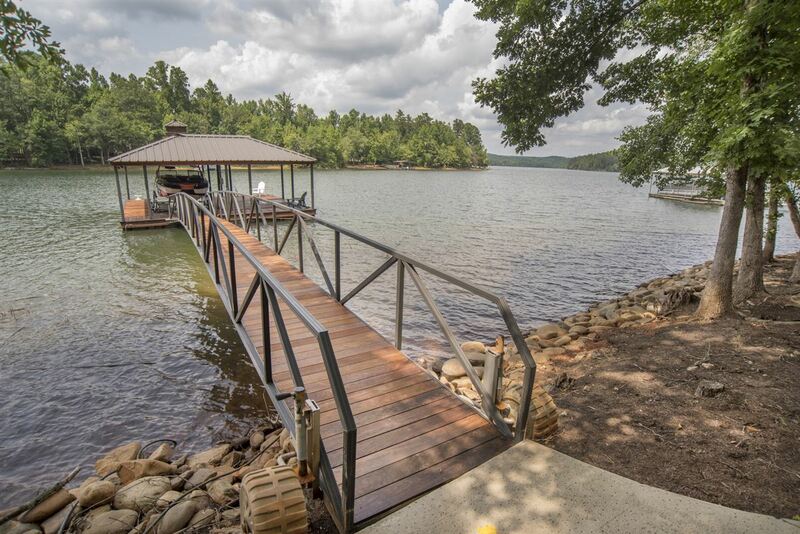 This lakeside retreat is listed for $1.649 million with Allen Tate Company, an affiliate of Luxury Portfolio International.